You may change the vegetables at your choice. 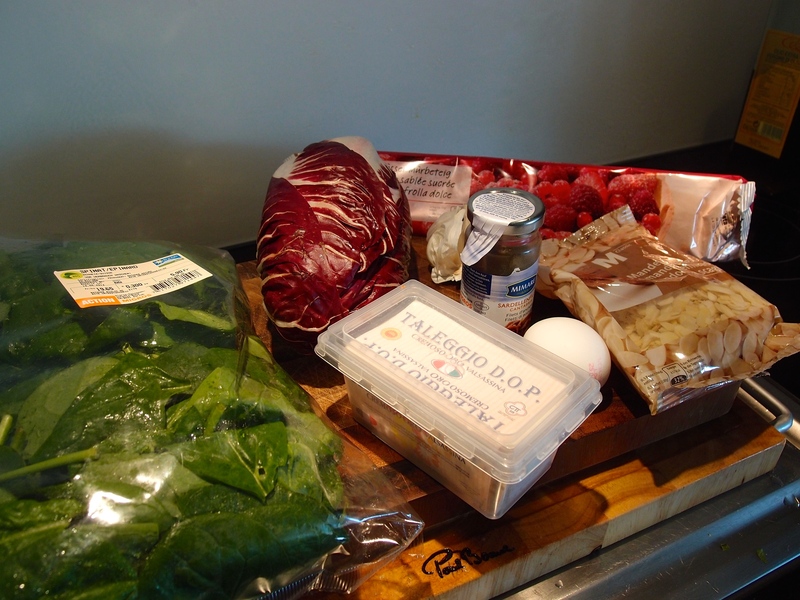 Ingredients 1 Radicchio Trevisano 1 bag fresh spinach 1 Taleggio box (roughly 250 gr.) 1 box of anchovies 40gr breadcrumbs 70 gr. 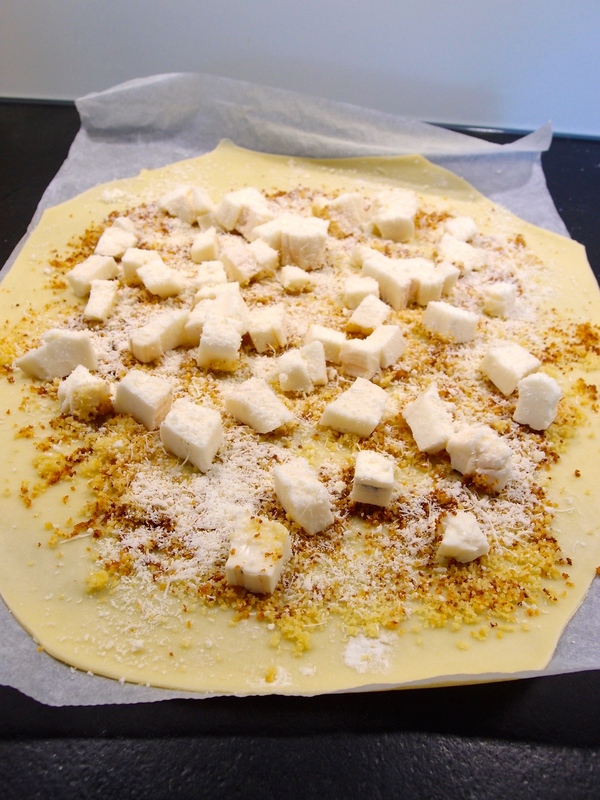 of almonds in slices garlic clove olive oil a little bit of butter some Parmiggiano Reggiano or Grana Padano 1 ready to use shortcrust pastry roll 1 egg In a pan warm up some oil and put a whole pealed garlic clove to give some fast. Remove and then add the anchovies cut in pieces. Use a wooden spoon and make sure they melt in the oil. 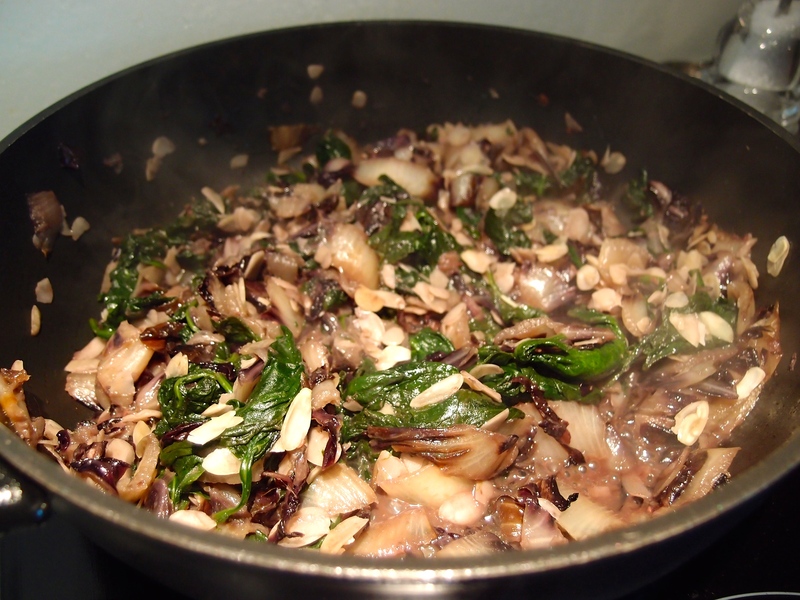 Add the Radicchio Trevisano cut in thin slices and the spinaches. Cook for about 15 minutes. Add the almond slices and cook for another 5 minutes. in the same time put some butter in a small pan and cook the breadcrumbs in it till golden. Cool down everything. 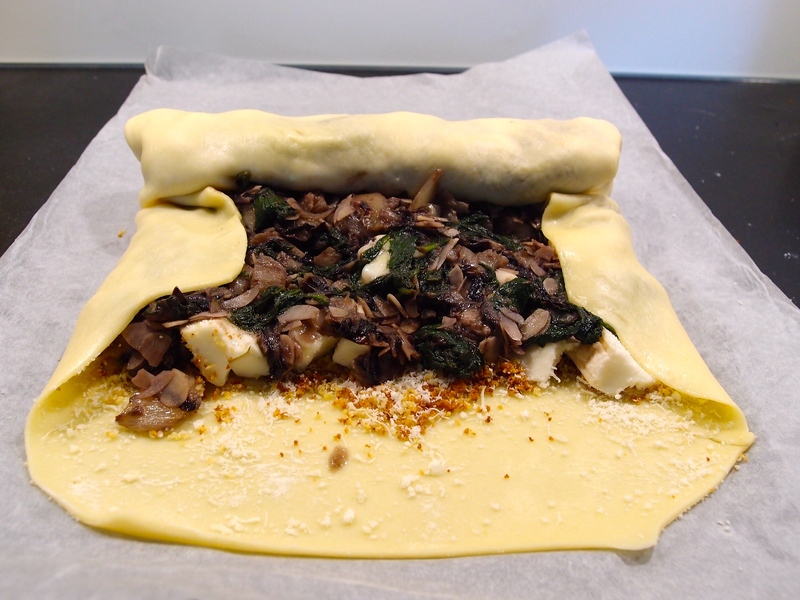 Take the pastry and add the golden breadcrumbs on top, some parmesan and the Taleggio cut in cubes. On top put the mix of vegetables but make sure you live the edges free. 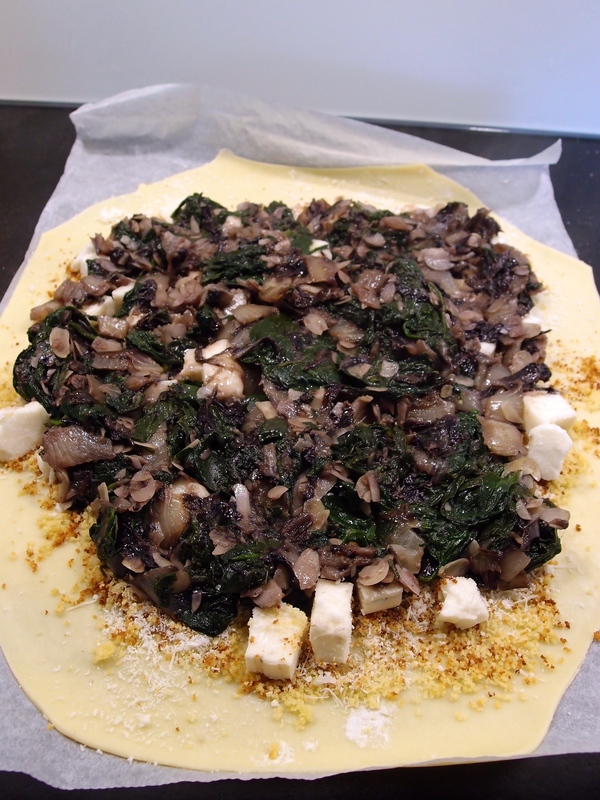 Flip the left and right edge of the pastry and then start to roll tight the whole. 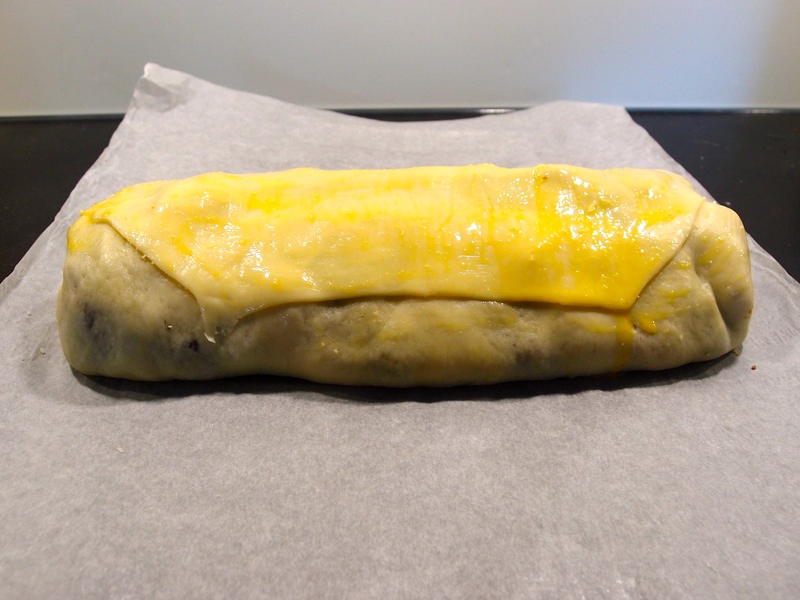 On the last flap of pastry put some egg on the edge as glue. Close the roll and brush the rest of the egg on the top. 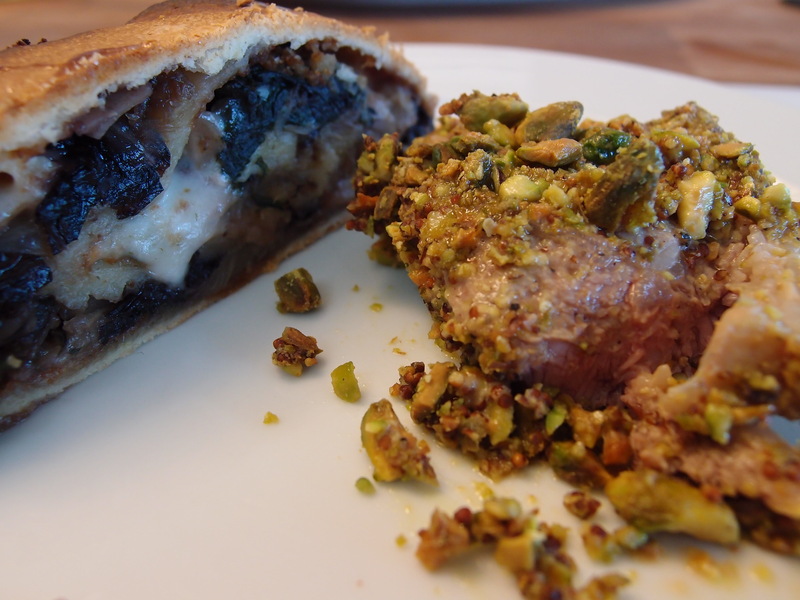 Put in the preheated oven at 220°C and let cook for 20-25 minutes. 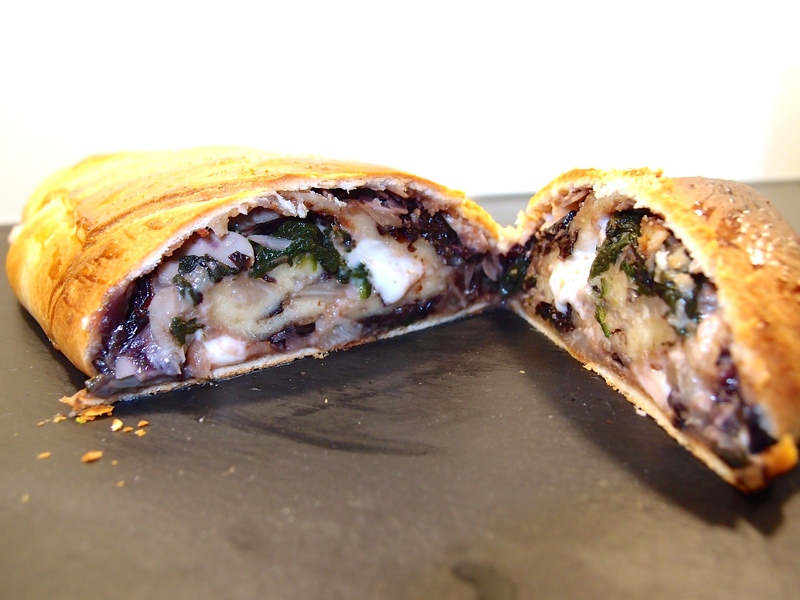 Love the idea of the radicchio in the filling. Looks great! taste cheese though. Even some blue cheese. Thanks, they got mixed up. I rearranged them.